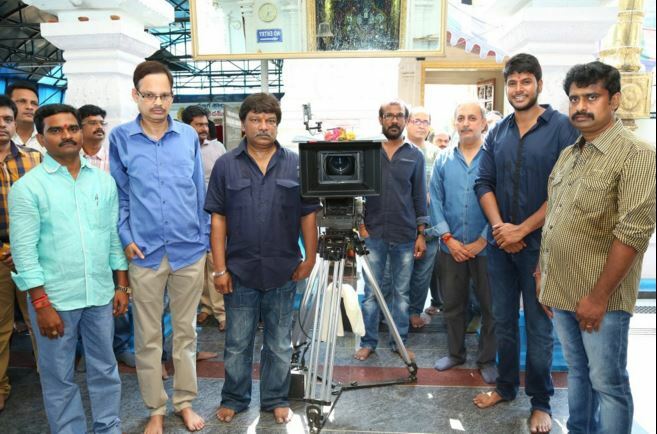 Today, Senior director Krishna Vamsi’s new movie with actor Sundeep Kishan has launched officially with a formal pooja ceremony and the film has been titled as “Nakshatram”. Krishna Vamsi and Sudeep Kishan’s movie is said to be a love story with fantasy elements and hot actress Kajal Aggarwal is rumored to romance Sundeep in this film. Given Kajal’s equation with Krishna Vamsi, she might say yes to Sundeep Kishan. Sundeep Kishan shared the news on his Twitter page. The regular shooting of this flick will start from next month. More details are awaited! !